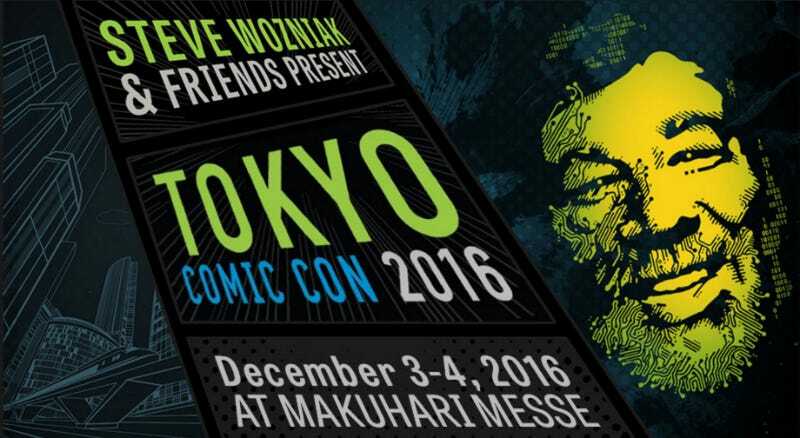 Comic Con is headed to Tokyo, courtesy of Steve Wozniak. Comic Con is headed to Tokyo, courtesy of Steve Wozniak. It’s the first time the convention will ever be held in Japan, and it’s planned for December 2016. It’s going to be a sister event to the Apple co-founder’s Silicon Valley Comic Con, and the Woz himself appeared in Tokyo last weekend to get people excited. In other words: I know where I’ll be in exactly 51 weeks.